There were many positives for Labour on June 8, as it posted a net gain of 30 MPs, but there were six seats that we lost – and all of them went to the Tories. If we want to build on the election result, with the hope of a parliamentary majority and the ability to form a government, we need to ask why people in these constituencies did not back Jeremy Corbyn’s vision for Britain. Many of these seats are ones that had been pretty solidly Labour for a very long time – and all backed Brexit. We need to look at these if we are to understand the reality of our electoral coalition. Labour lost the west Cumbria seat in the February by-election, when Jamie Reed stepped down from parliament to take a job in the nuclear industry. having previously been Labour since its creation in 1983, and the seat that preceded it since 1924. On June 8 it stayed in Tory hands. Trudy Harrison, the schools campaigner who took the seat, saw her majority shrink to 1,697 from what it had been, 2,147, in February – but Labour could not regain the large, rural and Brexit-backing seat. Civil nuclear power is of course the major employer, which Corbyn had been vocally against before becoming Labour leader, and many felt this hurt us in the by-election. The seat is also home to a vast number of highly-educated people with more PhDs per capita than any, as a result of the work available at Sellafield. If you were to analyse that highly educated demographic, in any other part of the country, then you would expect them to back Labour – but Copeland remains blue. Labour since 1923, and first electing a Labour MP in 1918, the Nottinghamshire market town was lost to the Tories in this election – with a 1,057 majority for Tory Ben Bradley. In 2015, Labour’s Sir Alan Meale had a majority of 5,315 votes – so to describe it as a marginal would be a stretch. Meale had been the MP since 1987, so name recognition was clearly not the issue. Mansfield strongly backed Brexit, by 70.9 per cent, and whilst it was known as a site of miners’ clashes with police in the 1980s, the Tories lined it up as a key target. In neighbouring Ashfield, where Gloria de Piero managed to hang on with a 441 vote majority, Brexit was also reported as a key feature in voting intention. The seat, in Labour’s north east heartlands, has turned blue – just over a month after the Tees Valley shocked the country by electing a Conservative mayor. Simon Clarke, a Tory, now has a 1,020 vote majority over Labour’s Tracy Harvey. Tom Blenkinsop, who had been the MP since 2010, stood down before the general election, in part because of his Corbyn-sceptic beliefs. This is an area of the country famed for its industry and steel works – although it cannot be overstated how the Conservatives put up a joke of a candidate for the Tees Valley mayoralty, taking it narrowly. Labour’s Harvey was a strong candidate for the Commons, and was known in the community as a hard-working councillor – in a seat that had been Labour since its creation in 1997. Whilst less safe and less urban than the neighbouring Middlesbrough seat, this is an area known as being Labour. Not any more. Labour since 1935, the seat held by deputy speaker Natascha Engel went blue. The Tory MP now has a majority of 2,861 in the constituency which Engel represented from 2005. The seat used to be dominated by mining, and it voted to leave the EU by 62 per cent. Across the region, seats that more strongly backed Brexit saw bigger increases in the Tory vote. The Conservatives saw their youngest MP elected in the seat, with just a 663 vote majority, to unseat Labour’s Rob Flello, who had been the MP since 2005. It had been Labour for as long as it had existed, being created in 1950, and Flello had a 2,539 majority in 2015 in the Brexit backing seat. The preceding constituency had been Labour since 1935. The new Tory MP previously competed in the Stoke Central by-election of February 2017 which saw Labour’s Gareth Snell elected to parliament after Tristram Hunt resigned, and Jack Brereton, at just 26 years old, is the youngest Tory in the Commons. Like the rest of the Potteries, it was on the Tories’ target list, and while Newcastle under Lyme, Stoke North and Stoke Central remained red, this seat was lost. All the nearby seats were held – but with smaller majorities than in 2015. David Winnick had been the Labour MP for the seat since 1979, winning it back from the Tories who had claimed it in a 1976 by-election. Otherwise, it had never done anything but elect a Labour MP since its creation in 1955. It is also noteworthy because John Stonehouse, memorable for being a spy and for faking his own death, had resigned the Labour whip after the scandal, to remain an MP but for the English National party, albeit briefly. So, aside from this brief foray into political drama, the seat has been solidly Labour – if not with the largest majorities in the country. In 2015, Winnick had a 1,937 majority, in 2010 just 990, in 2005 a more comfortable 6,640, in 2001 9,391 and in 1997 a healthy 12,588. 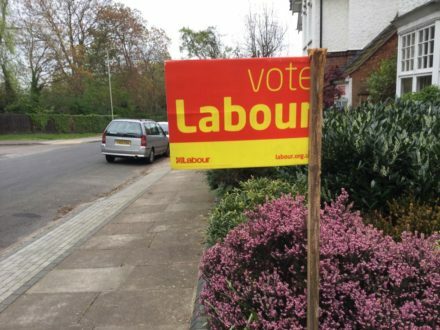 It is fair to say it wasn’t the safest of Labour seats, but also that this was rarely anything but this. The West Midlands seat, like all those lost this month, backed Brexit.